A new Marina del Rey outing, and a long-standing San Diego lark, are just ahead. A new Marina del Rey outing, and a long-standing San Diego lark, are just ahead, pup people. BEAUTIFUL SAN DIEGO BAY... the next day, on Sunday, Oct. 21, hop on, with your hound, the Bow Wow Brunch Cruise. 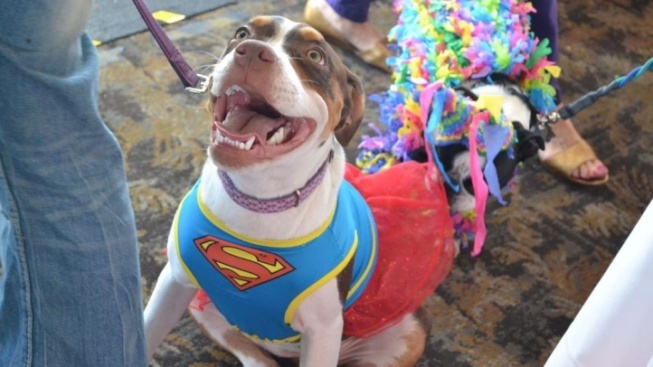 It's an annual fundraiser for the Helen Woodward Animal Center, in Rancho Santa Fe, and also includes costume fun, a dog trick contest, all sorts of dog-pleasing nummies, and lots more. Plus Darris Cooper, a dog expert who will appear on both cruises. Is this something your four-footer'll be jazzed about? Time on a boat, in costume, with treats and attention? Look into tickets at once, for one of the quirkiest canine events on the calendar.